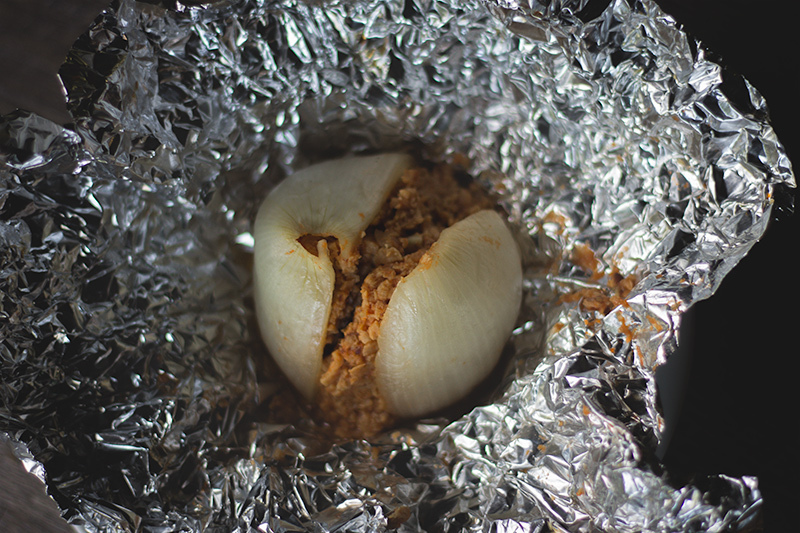 Onion bombs are a great way to cook on a campfire. They’re a very simple and easy to make dinner. Plus, you don’t need any special cooking equipment. 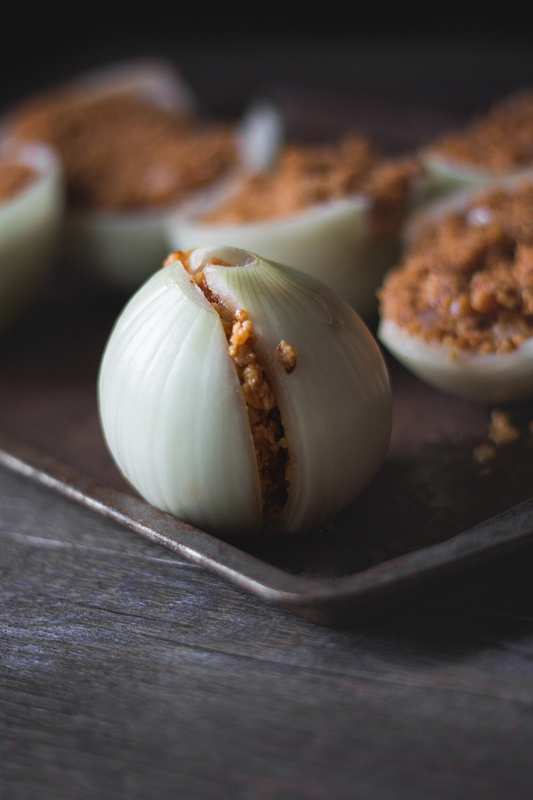 Simply cut an onion in half, peel the outer layers off, and fill them with the TVP mixture. wrap them in heavy-duty aluminum foil, and then place them on hot coals. 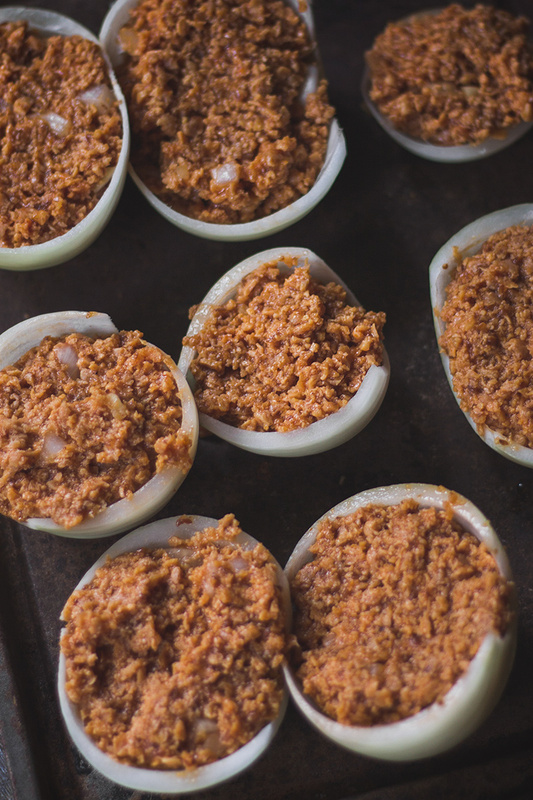 The onion bombs can be assembled a day ahead of time. 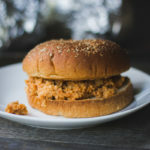 If you’re looking for more camping recipes check out Vegan Orange Peel Campfire Cinnamon Rolls, More S’mores, and Vegan Camping Recipe Roundup. 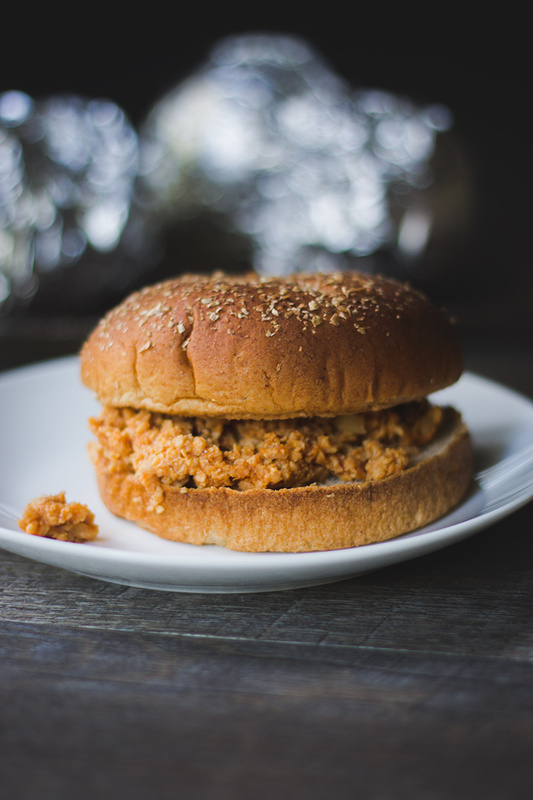 EASY Vegan Campfire Sloppy Joe Onion Bombs! 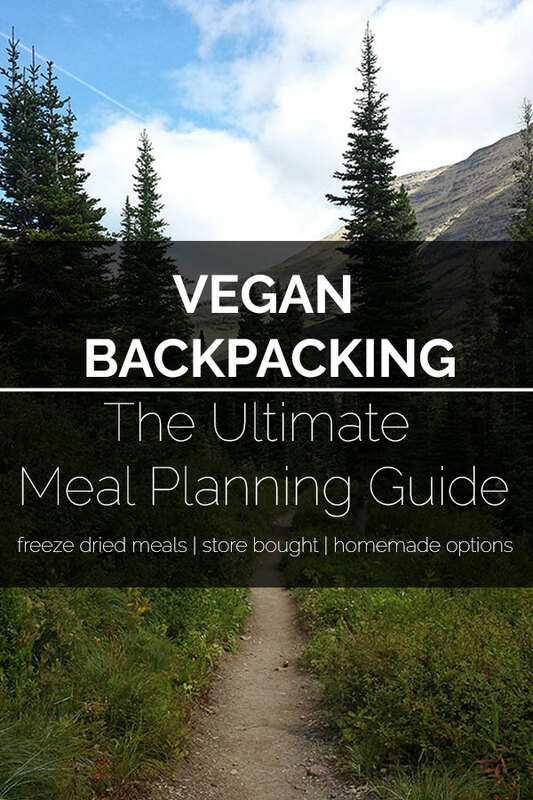 Perfect for dinner while camping or at home! Peel and cut the onion in half. Carefully remove the outer 4 layers one at a time trying not to break them. Finely chop the rest of the onion. In a large bowl mix the TVP, ketchup, sugar, flax seeds, mustard, garlic, and the rest of the onion. Bring the broth to a boil and pour over the mixture. Let sit for 10 mins. Fill each onion half with the mixture and then join the same sized halves together. 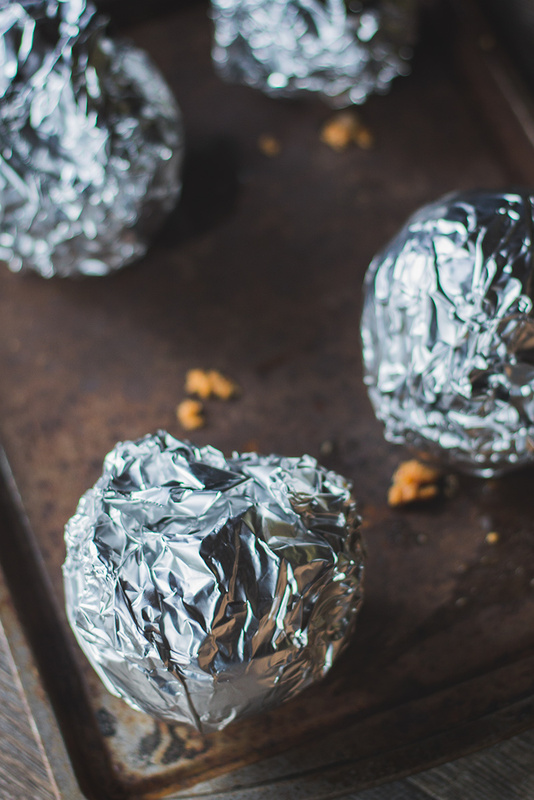 Wrap with heavy-duty aluminum foil and place on hot coals. Cook for 30 mins, turning every 5 mins. This is really tasty! I’ve used TVP in a few recipes and never been too impressed with it but it was excellent in this mix. The texture and the taste was perfect, I loved it! Had this as our first meal camping on a cold November night and I’ll definitely be bringing it along on more outdoor trips. Thanks!